Internet of things (IoT) is emerging as the next big revolution in the world of technology. A place where devices are smartly connected to communicate with each other. It can be anything; your smart phones, smart TVs, smart watches and smart homes. With the potential to transform almost everything IoT has a tremendous impact on business. So What Exactly is Internet of Things (IoT)? IoT is an environment of humans, objects, or things, where everyone has assigned with a unique identity and has the ability to transfer the data over a network without any human to human (H2H) and machine to human (M2H) involvement. All your devices can be connected with the other ones not only laptops, desktops, or smartphones but from doorbells to light bulbs. Everything is operated with the help of mobile/web application where devices are allowed to share the data with others. The soft touch of the mobile application gives you superpower to operate your devices remotely. You can setup and adjust all the settings according to your day to day routines. What is the Impact of Internet of things on Business? In the era of technology when things are changing in a rapid way, businesses are also running with pace to get the first position. In the present scenario, the impact of the Internet of things on business is huge. IoT has given the opportunity to drive the business efficiently by connecting the inert devices/sensors with the process and prospects to get valuable data over the internet. Before going ahead wait for a sec !!! As innovation becomes noticeably less expensive and more effective, a vast part of the development has moved toward empowering the intelligent gadgets and smart devices to interact with each other in a bigger space. Many travel industries start the initiative to utilize the IoT devices in their operations and are trying different approaches to give the innovation something to do for their customers. With the potential to change almost all parts of the travel industry, the IoT will empower these organizations to gather and coordinate huge informational data collected from various sources to customize and enhance the customer experience. 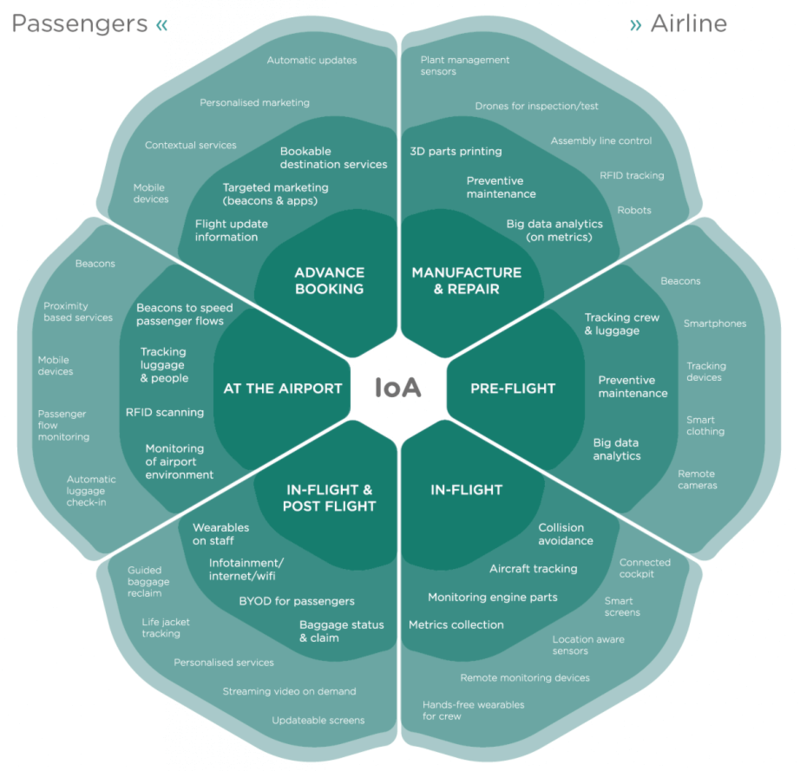 In Airline industry, IoT has come up with numerous benefits. It encourages air travelers to discover what they want and industries to offer more personalized services to their customers. Airlines and passengers both are equally benefited with the blends of connected technology and connected peoples. Industrial Manufacturing is the second biggest industry embraced by the IoT and digital transformation. In manufacturing, IoT is at newer peaks and termed as IIoT (Industrial Internet of things) or Smart manufacturing or Industry 4.0. Basically, IIoT is the utilization of IoT technologies to enhance the proficiency and efficiency of the manufacturing and supply chain operations. Now, manufacturers across the globe are confident enough to adopt IoT in their business decisions. In a survey initiated by Industry Week states that- 40% of the manufacturers think that this is the right time to invest in IoT. The usage of the Internet of Things in healthcare industry means a lot. Industries can get the data from medical devices to improve the services for their patients. To reach the new level of efficiency, precision, patient monitoring and safety, organizations need real-time visibility and intelligence into their data generated by the sensors, wearables and other IoT devices. However, the actionable insights from the data are who take the organization to the next level. 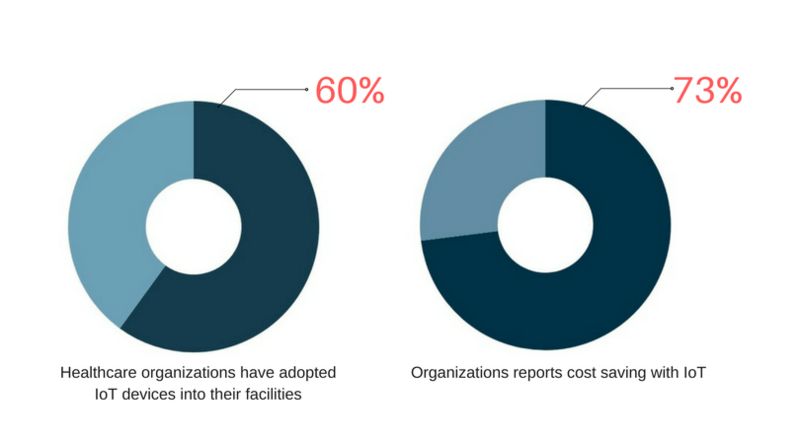 A study of Aruba networks reveals that globally 60% of healthcare organizations have adopted IoT devices into their facilities and 73% reports cost saving with this technology. 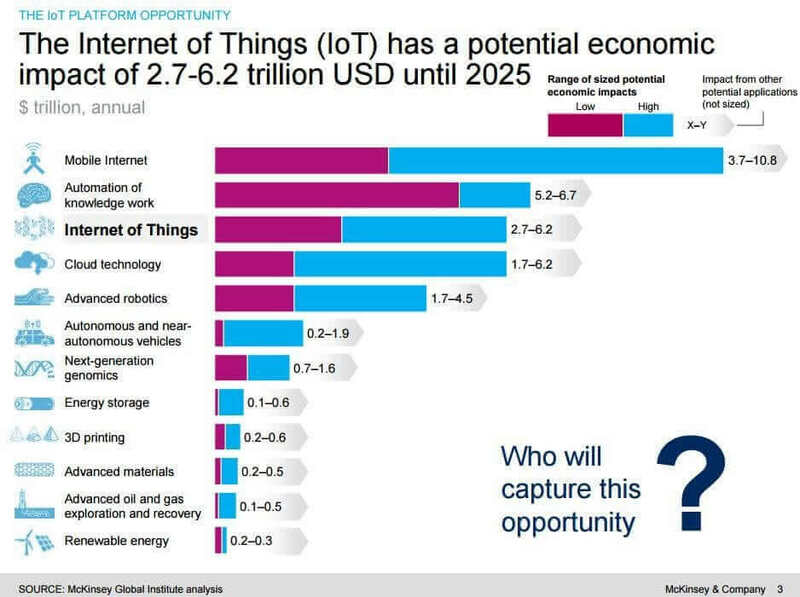 This indicates that the IoT wave is expanding and those who ignore it, will be left behind. The automotive industries have been entirely transformed by the unstoppable rise of the Internet of things. Today, vehicles are not only a means of transportation but are more coupled with technology than any other time in the recent past. Nowadays, automotive industries are becoming more superior by utilizing the mobility and IoT in their products and services. One of the best example is a self-driving car by Google. Recently John Deere comes up with their new concept of Machine Health Monitoring Center (MHMC). Their agriculture and construction machines are now equipped with the IoT devices and sensors, which make it possible to connect all machines with each other. The usage of sensors provides the ease to collect the data of your machine’s health. All the data is being stored and further analyzed for identifying the patterns and trends to predict the breakdown and downtime. The reduction in maintenance cost will result in the higher productivity. 3. 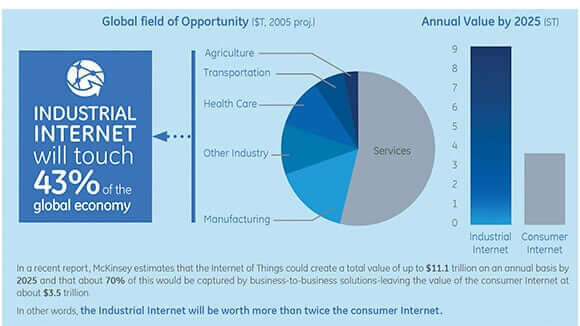 The Internet of Things (IoT) has a potential economic impact of $2.7 to $6.2T until 2025. – McKinsey & Company. 4. Gartner has predicted that 20.4 Billion connected things will be in use by 2020. Nowadays, businesses need expert assistance to maximize the use of IoT. 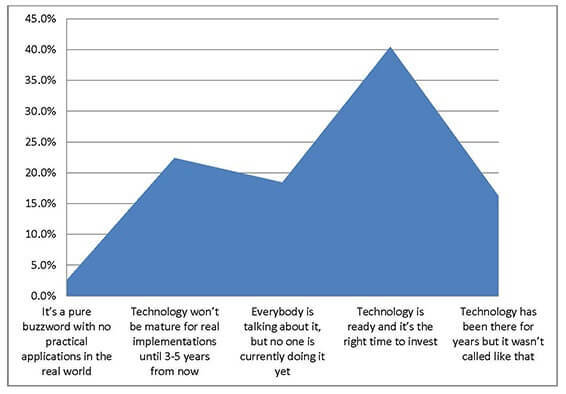 If your organization is planning to get the most out of technology, then these 3 points you should keep in mind. 1. What do you need to know before you get started with the internet of things? 2. What are the risks to your business and infrastructure when adopting IoT? 3. How to leverage the power of IoT with data analytics? So, before going ahead to discuss the major advantages, consequences, and pitfalls, let’s take a deep dive that how the Internet of Things (IoT) works. 1. What do you need to know before getting started with the Internet of Things? The Internet of Things or (IoT) is referred as the environment where web-enabled devices are connected with embedded sensors, communication hardware, and processors to collect and send the insightful information over the defined network. The Edge: This is the initial point, where the data originates or you can say, the point where data is collected with the help of the external devices such as sensors and other hardware. Since all the devices are connected with each other they generate the huge amount of data and internet traffic which make it useful for various purposes. Many of us have dreamed about the smart homes in which you can control all your things automatically. Now think about the automotive industry where thousands of smart vehicles are producing tons of data every second, here comes the second component. The User: This is the point where a human interacts with the real data and analyze it to drive the business with powerful decisions. For implementing any IoT device, security always a major concern. Devices are web-enabled and it’s a priority to give the better control with customer interactions. Since the devices and control parts are in modules it gives the ease to hackers to attack or exploit its configurations or in worst destroy its operations at different levels. DDoS stands for Distributed Denial of service. It is a type of attack when multiple compromised computer systems flood the bandwidth of the target websites, servers or network resource. Most of the time target systems are injected with Trojan, Malware or other malicious data packets which force to slow down, crash or even shut down the system. Traffic Attacks: In this type of attacks the target is flooded with the huge volume of spam data packets, as a result, the real requests get lost. These attacks are usually operated by injecting trojans and malware. Bandwidth attacks: Bandwidth attacks, over-burdens the target with TERAbytes or even PETAbytes of garbage data. This outcome in lost system data transmission, server crash or even complete shutdown. Various IoT devices lack advanced security in their designs, which could open the entryway for hackers to penetrate these devices by implanting malicious code and other vulnerabilities to exploit their operations. To get rid of these vulnerabilities, it’s important to implement best practices for testing IoT devices. IT infrastructure might be something that people do not think of, but when you talk about Internet of things Or IoT your infrastructure plays a crucial role. Just take a scenario when your IoT application is generating Terabytes or Petabytes of data every second and your infrastructure is not scalable enough to handle; the results may have loosened the valuable data. Planning for the monstrous take-up of Devices, applications, traffic, and the usage data will request scalable IoT infrastructure. A study on IoT foretells – by 2020, around 90 percent of applications will be hosted on cloud based data platforms. The usage of cloud storage and virtualization allows you to reduce the cost and improvise the delivery performance. The managed cloud platform allows devices to connect securely to cloud applications and store their data over cloud data warehouses. The Internet of Things has quickly become the most hyped technology, so the businesses are also wondering to get the most out of this technology. But for driving the business growth one of the crucial components is advanced data analytics. Advanced analytics enable you to become more familiar with IoT devices and their performance. Companies started storing the tons of data generated by IoT devices (i.e. sensors and modules) and stepping it in further processes for analyzing patterns and insights to improve their business decisions. IoT has incredible potential to transform the industry. A study conducted by the Verizon predicts- By 2025, best-in-class organizations that extensively use IoT technologies in their products and operations will be up to 10% more profitable. It multi folds the organization’s operational efficiency to become more rooted in the world of the integrated environment. Apple’s HomePod: What’s In It for Developers?